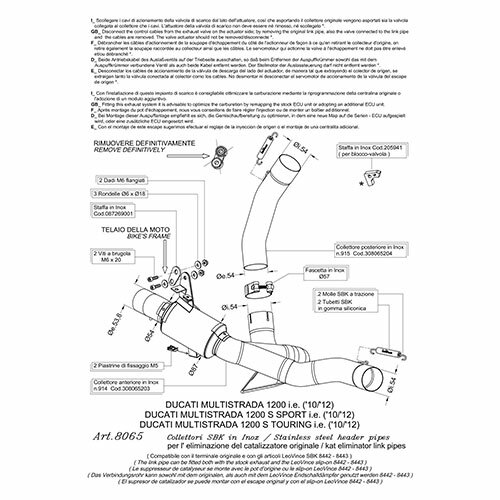 The Cat Eliminator (Link Pipe) is compatible with the original and the LeoVince exhaust. 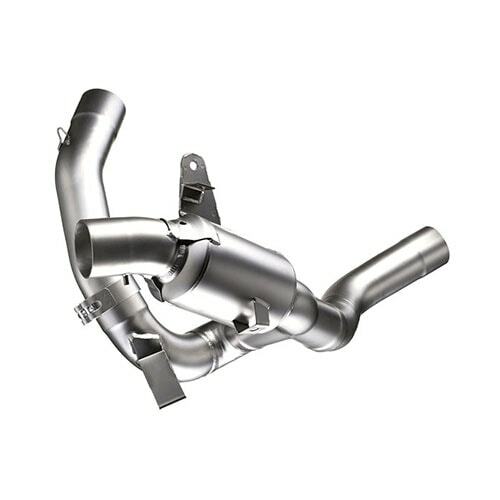 The racing link pipe is made in AISI 304 stainless steel, to make it slim and impact-resistant. 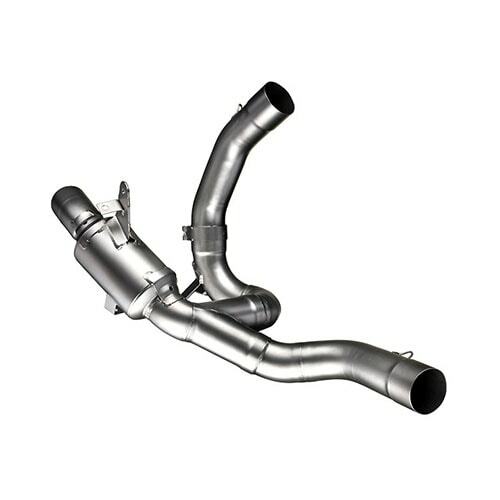 LeoVince chose to sandblast the pipe, giving it a distinguished look with the unique "Titanium Look" effect.